Non-abrasive formula is safe for use all around the home on glass stoves, stainless steel appliances, and granite counter tops. Farmers know a thing or two about tough, ground in dirt and what it takes to remove it. When a farmer&apos;s wife saw how well Dutch Glow cuts through grease, she started using it in her kitchen and throughout their home to cut through grease and grime. 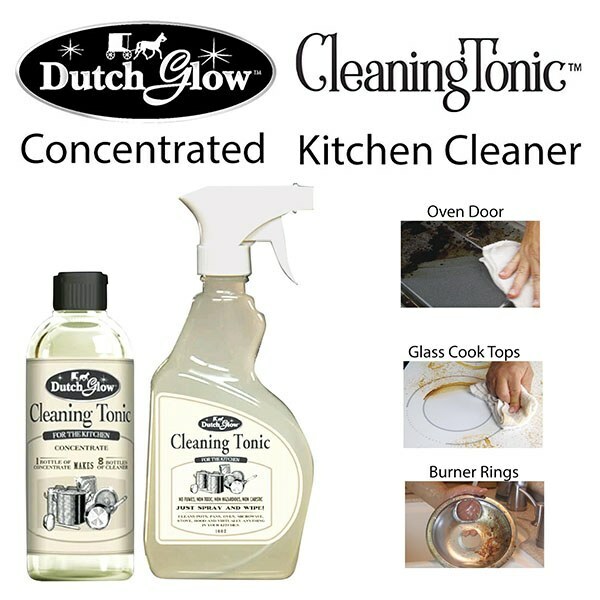 Dutch Glow harnesses the power of citrus rinds to leave your surfaces glowing and your cleaning chores less backbreaking.